It all started a month ago when Narendra Modi first announced the ‘Demonetization’ in India. However, when digging into this announcement, citizens were the one who had the effect for most extent. 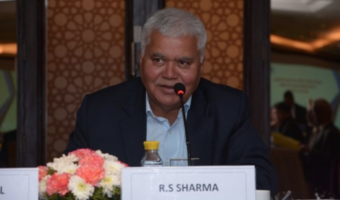 Having said that, digital wallet apps such as FreeCharge has gained an advantage and is continuously implementing new features to attract the customers. FreeCharge is one of the India’s rapidly growing digital wallet service. 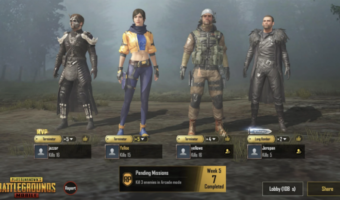 Recently, the company has added some exciting features to both its Android and iOS application. The service currently offers to make recharges and can also be used to pay at several online merchants such as Bookmyshow, Snapdeal, Swiggy, McDonald’s, and so on. In this article, we will guide you on how to use FreeCharge in your day-to-day life from registering the application to paying to merchants. 1) How to Download the FreeCharge App? Firstly, to use the services of FreeCharge, you need to download their mobile application. The application is available for all the platforms: Android, iOS, and Windows Phone as well. If you’re an Android user, head over to the Google Play Store and search for the application name- FreeCharge and download it. The same applies to the Apple App Store and Windows Phone store as well. 2) Get Registered to Use the Services! 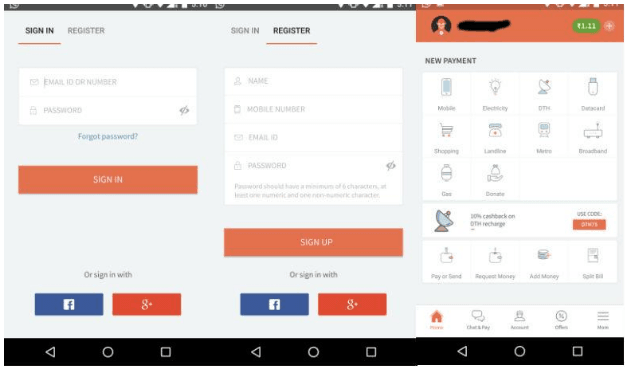 After you’re done with downloading the application, you now need to register with FreeCharge. If you’re an existing customer, then you can just log in with your credentials. The application has straightforward and attractive user interface. All the options are spread across the home screen. Opening the app itself brings you the login screen, just input your credentials. 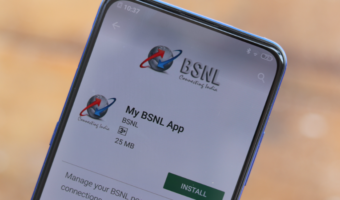 Do make a note that a valid Indian mobile number is compulsory to register for the service. The application even allows you to register via your Facebook and Google account. After you’re done with registering the service, you need to add some money to make any transactions in the service. As said earlier, the application has a neat and clean UI, and you can see the add money option on the home screen itself. The application allows you to add money via debit/credit card and net banking. 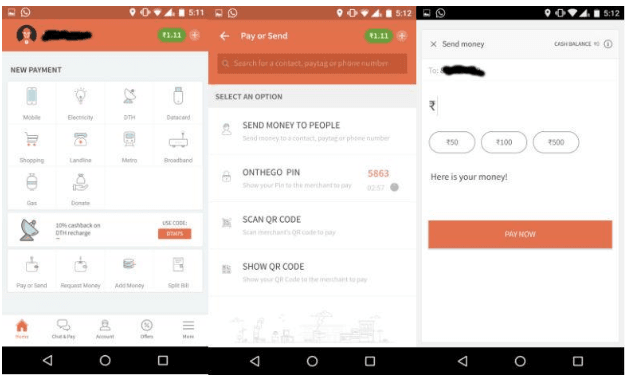 4) How to Pay Money Using FreeCharge to Others? 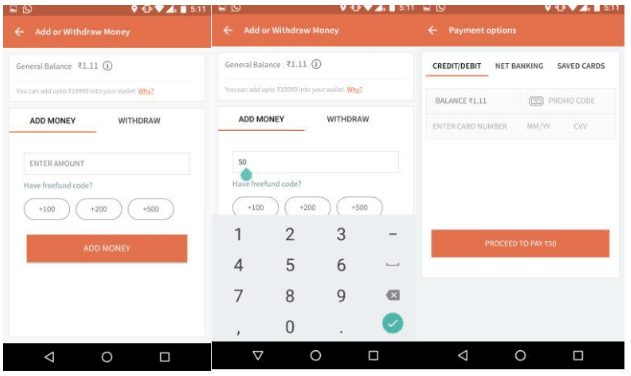 FreeCharge allows its users to pay via two methods. One method is to transfer the money to a person account by using their registered mobile number, and the another method is to scan the QR code of the person you want to pay. Both the methods are simple. On the home screen itself, there is an option called ‘Pay or Send’ Just tap it and select the mode you wish to pay the person or merchant. Just enter their mobile number, and the payment will be made. It’s very simple and easy to use as well. Apart from the above-mentioned features, FreeCharge also has some other functionalities as well such as recharge, pay to online merchants, etc. Speed-Pay: Suppose, you recharge your mobile number frequently. For the next time when you are recharging your mobile number, you don’t have to enter the details again and again. There will be a contact suggestion which typically recharges your mobile number in less than 10 seconds. Also, this feature sends reminders about your bill payments to avoid any delay. This feature allows you to chat with your friends and pay them with ease quickly. Additionally, with this feature, users can search for the merchants and pay them seamlessly. The service also sends reminders to your friends and family for any pending dues, which is a really good feature to have around. 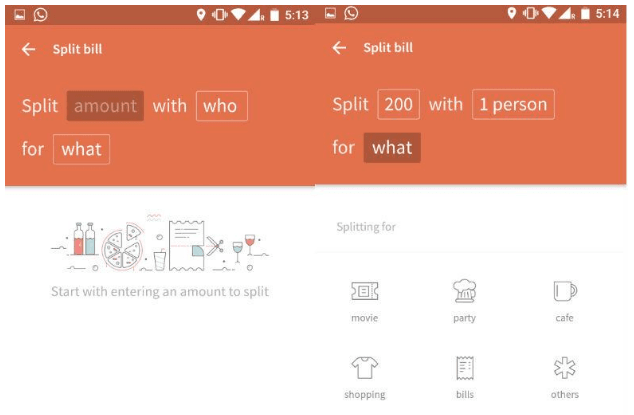 With the split bill function, you can break your bills with friends quickly. This feature is much helpful if you go for an outing with your friends or office colleagues. So, these are all the features of the FreeCharge application available for both Android and iOS users. If you are the one suffering from demonetization, then switch to FreeCharge and enjoy cash less life. If you face any difficulty while setting up the application, let us know in the comments section below, we are happy to help you. I’m happy with Rs 50 cash back on recharge of Rs.50. And also when I get surprise cash back of Rs10. Everyone has their niche I guess. I always use freecharge for mobile/landline bill payments, mobikwik for bus/train booking and paytm for general transactions with kirana shop etc. Competition is of course good for all.